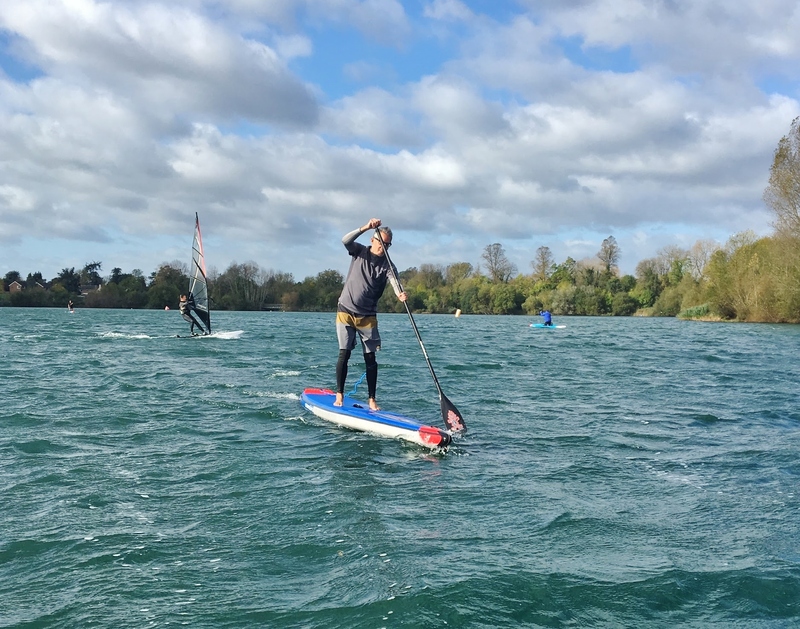 Sunday 22nd October saw paddling enthusiasts fill the banks at bray lake to try out Starboard’s new toys and enjoy the buzz that the team at Bray lake create in any weather and weather we had! Storm Brian was here making it more like sea conditions but that didn’t stop our hearty club members and visitors that had travelled as far as Devon and Cambridge. From Starboard we had Paul Simmons, Marie Buchanan and Ben Pye who braved the cold all day to help everyone try out the fantastic 2018 boards I think I can speak for all attended that we were very grateful to them coming over for the day. Everyone stood there like kids in a sweet shop as the array of boards were pulled out of the van that included 14ft Allstars and Sprints, several wide points, and a few GO’s. We also had inflatables that included a 12”6 touring, a Blend, a Wide point deluxe and the star of the show the the all new 14’ Airline with the very intriguing hard nose which picked up orders left right and centre. It was great to see everyone trying so many boards and really taking them for proper test drive up and down wind. We finished off the day with a BBQ as always and plenty of people staying on to chat and carry on browsing through the new catalogues. We also had support again from Cano Water and Mcvities who supplied biscuits to keep everyone going until the burgers arrived. It was a fantastic day all in all and a massive thank you to everyone that made it so.